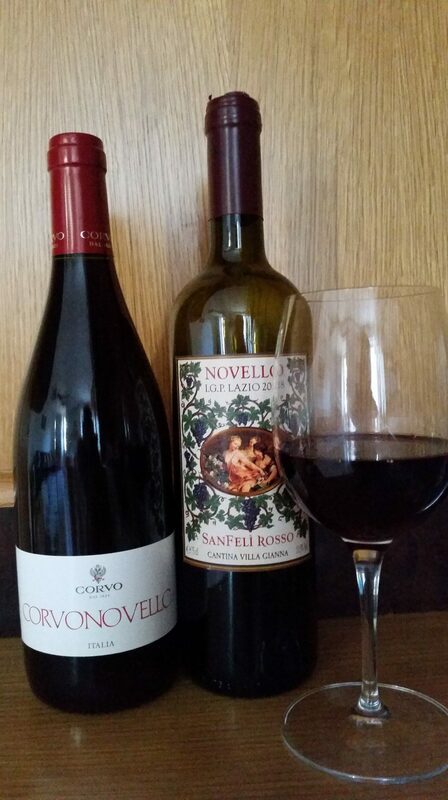 November is the time for this years batch of Vino Novello or ‘young wine’ to be released. A red wine, it is produced in a way that accelerates fermentation and has no tannins. Like a Beaujolais, it is fresh, fruity and deep. 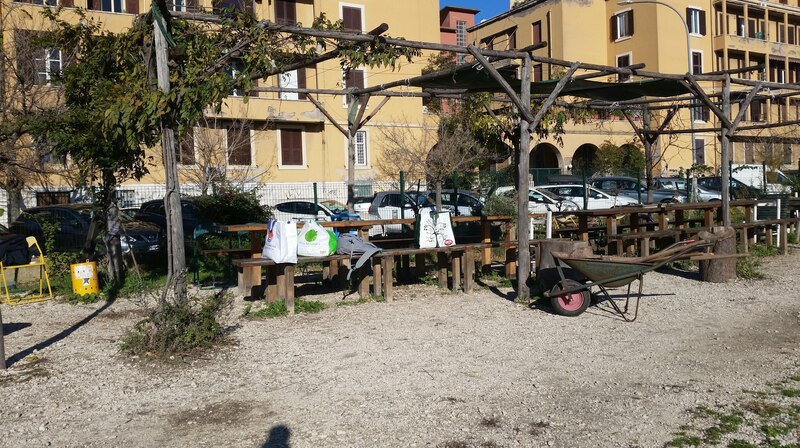 Italians have many, many rules as a society and a large quantity of them are related to as suggestions (like lanes for traffic) except when it comes to food and drink. The rule of Novello is that it is only available from October 30th until sold out (usually by the end of the week). It does not keep well so needs to be drunk immediately (I am just relating the rules). 2. The color of the sky. 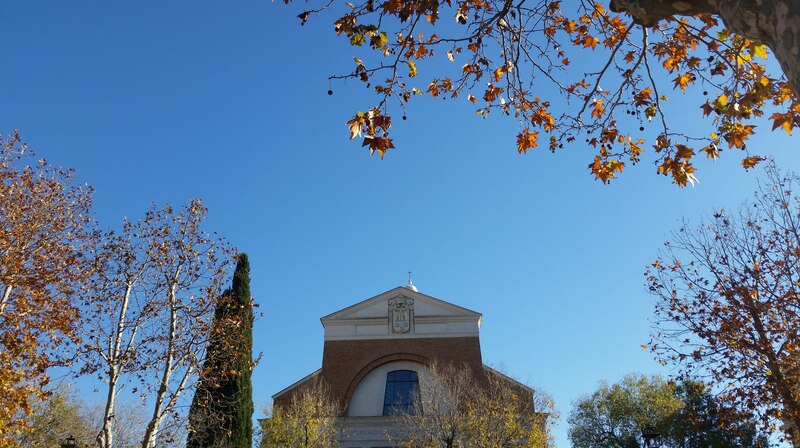 Rome’s sky turns turquoise in Autumn, its sharp blue the perfect back drop for its burnt orange buildings, and perfectly seen through leafless trees. 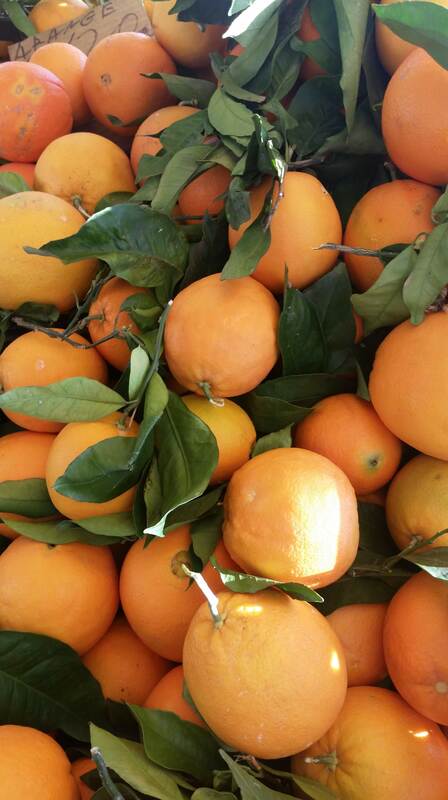 Autumn is the time you feel like (and enjoy) eating again after the sweltering humidity and heat of the summer. Oranges from Sicily, mushrooms from Tuscany, fresh pork sausages from the countryside near Rome all go well with Vino Novello as do the chewy salami‘s and tangy sheep’s cheese (pecorino). Vegetables such as Funghi porcini mushrooms, artichokes and the very Roman puntarelle appear back on the market after their long summer rest, and last sometimes only a few weeks so all of a sudden everything has funghi porcini or artichoke in it. Food is seasonal in Italy and therefore looked forward to. The sense of anticipation and reminiscing is shared and joined in by everyone. If you go to a friends house for dinner in Autumn you know that artichokes, puntarelle or funghi porcini will be on the menu. Finally you can sit in it. Avoiding the sun was the past time for the past six months but now it is sought out. 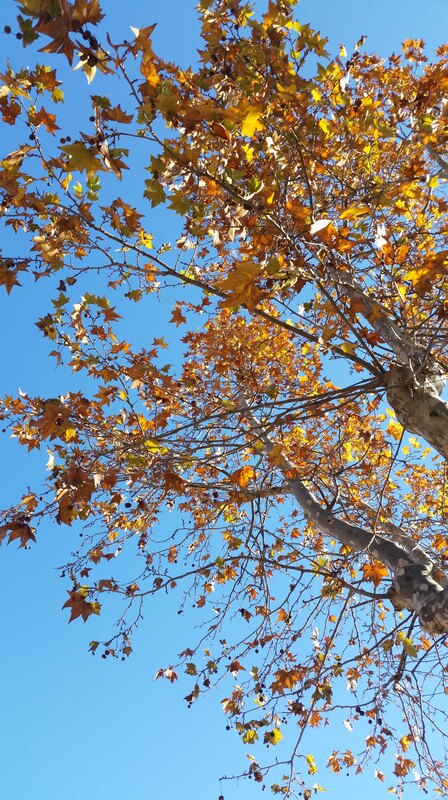 Sitting in the brilliant Autumn sunshine is a legitimate past time and reason to go outside. It can still warm, is too bright to look at and bathes everything in happy yellow autumn. It also goes well with a glass of Vino Novello. 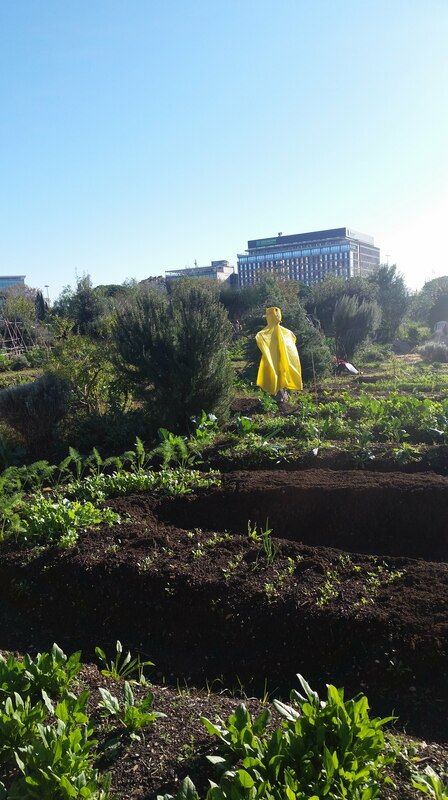 All over Rome, communal vegetable gardens are being prepared for Winter. Pruning, weeding, digging and raking are all activities being undertaken. 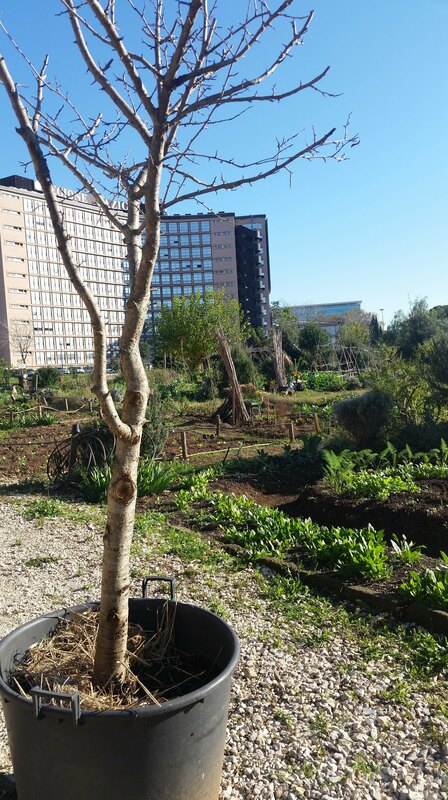 Everyone lives in apartments in Rome so these small plots of land are a hive of activity being undertaken in the brilliant autumn sunshine, often followed by a glass of Vino Novello (just saying). 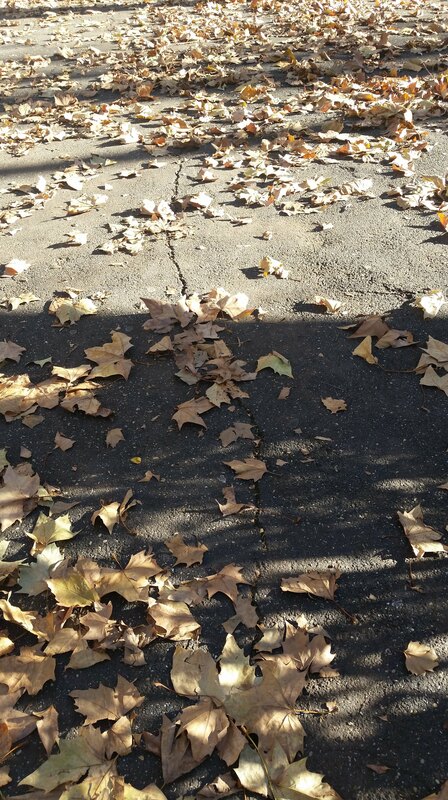 I grew up in a suburb with lots of leaves where every autumn i delighted in diving into big piles of them and throwing them up in the air with my dad frantically yelling ‘don’t do that, there’s probably dog poo in there!’ Rome, having mostly trees that shed their leaves rather than evergreens, like in Australia, is full of leaves. Just one of the many delights I discovered when I first came here. 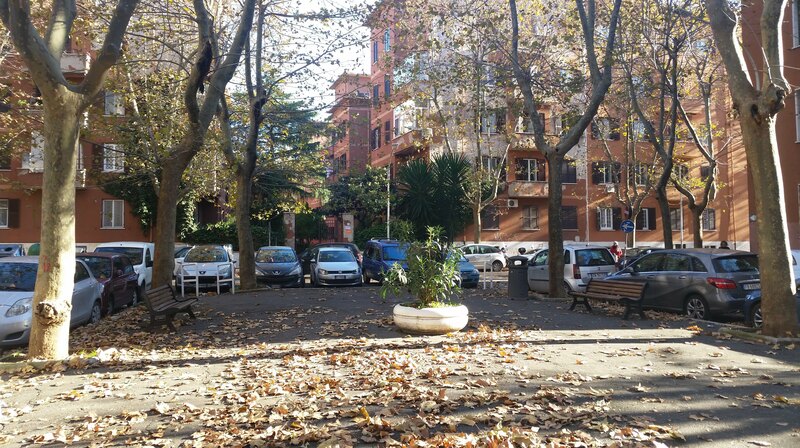 You can go to any large park in Rome and literally drown in leaf pools. You can run through the middle of them and throw leaves up in the air to your heart’s content and mostly they don’t have dog poo on them. Or you can just scuff them up under your feet in your local neighborhood. No one rakes them up and they sit there for weeks until an Autumn deluge comes along and washes them away. Summer holidays are over, children are back in school, tourists are back at work. The summer squalls and winds are finished. Leaves float gently down like stars. Vision is clearer through sparkling sunlight. The evenings come quickly and quietly, nothing stirs. It’s cool for the first time since April. The mornings are fresh and crisp, the days sunny and bright, the evenings cold. Perfect for Vino Novello. The city rests. The violent rain lashed storms have washed the city clean from the detritus of the summer. Things are ticking along. The first time you discover you have a friend that has an olive grove and who requires help with picking olives, you think yourself blessed and so so lucky to have landed a friend such as that. After you have helped picked olives for this friend you find that you are busy every November ever after. Olives are great to eat, especially with a glass of Vino Novello, picking them is not great. 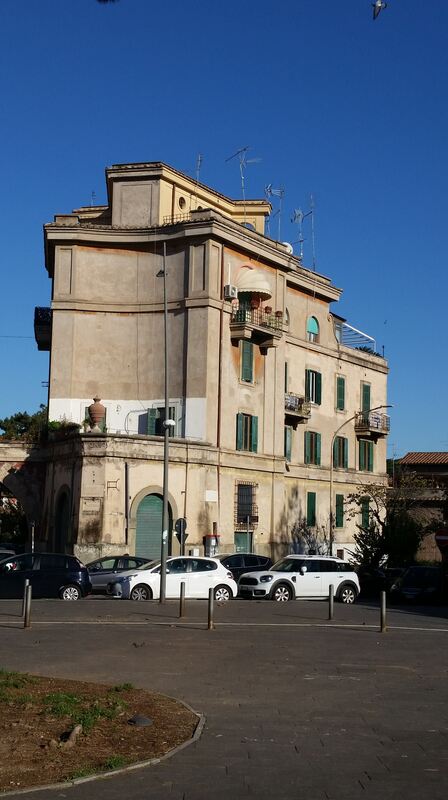 Read more about Rome in: ‘Roman Daze – La Dolce Vita for all Seasons’.